Great experience. The breakfast was something to brag about and the staff were excellent. I would however get somebody to put soap in the dispensers in the Ground floor toilets. Great hotel. Fantastic food at bazaar restaurant. Will certainly go back. The staff were friendly, excellent service but the property is very tired and the rooms are dissappointing, it needs some serious love! According to Hans Christian Andersen, 'To travel is to live.' But don't just take the word of famous dead authors. 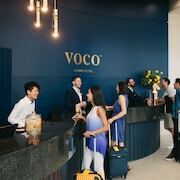 Book a hotel in Surfers Paradise, 2 kilometres from central Gold Coast, and experience the wonderful joy of travel for yourself! Start making epic memories (and snapping some brag-worthy selfies) at Sea World, Dreamworld and Warner Bros. Movie World, just some of Gold Coast's most famous attractions. Surfers Paradise Beach and Cavill Avenue are in and around Surfers Paradise. These well-known tourist sights really ought to be on your travel list. 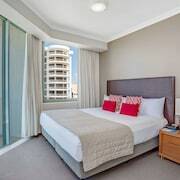 You can wake up near Surfers Paradise Beach at a number of accommodations, including the Peppers Soul Surfers Paradise, Peppers Broadbeach, Hilton Surfers Paradise Residences, ULTIQA Air On Broadbeach and Aria Apartments. Spend an afternoon out at Kurrawa Beach and breathe in the sea air as you soak in the sun. There are a few places to crash close by. 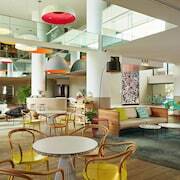 The Ultra Broadbeach and Carmel by the Sea are sensational spots to get some Zs. The sights, smells and sounds of Surfers Paradise Beachfront Markets entice locals and tourists alike. 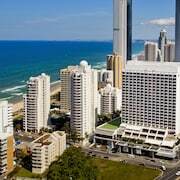 You'll also find great hotels within close range of this sight, such as the Golden Sands Apartments and ULTIQA Beach Haven At Broadbeach. We've all heard accommodation horror stories about the most uncomfortable mattress ever and creepy-crawly infestations. But believe us, cheap doesn't have to mean nasty. There are a heap of budget hotels here, and our favourites are the Backpackers in Paradise - Hostel and Zenith Ocean Front Apartments. If you arrive home and you're not slightly worried to check your bank balance, did you even go on holiday? The Mantra Crown Towers and Aegean Apartments are worth considering if you're into throwing down a couple of extra notes. Spend too much time out last night? Regretting that last karaoke rendition of 'Livin' on a Prayer'? What you need is a seriously strong coffee! Thankfully, Vietnamese Food Corner isn't far away. When the hunger pangs kick in later, make your way over and peruse the menu at Surfers Paradise Beergarden. 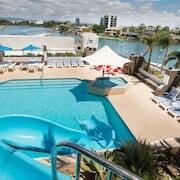 How about booking a room in Broadbeach or Broadbeach Waters when organising your holiday? 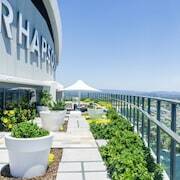 Broadbeach is 3 kilometres from Surfers Paradise, and Broadbeach Waters is about 3 kilometres away. So, get a wriggle on! 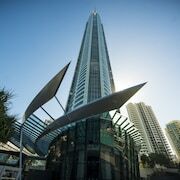 It's time to pick your dream Surfers Paradise flights, accommodations and experiences. And don't forget to tag us in all your epic #TravelLust snaps!